We have partnered with a variety of repair shops who offer Smartphone and iPhone repair services in state of Texas. Prices between repair shops can vary significantly. Not just the price for a repair service, but also the type of device can result in a different price and is worth comparing. After the successful repair your device will be shipped back to you in Texas. A mail in repair service is a convenient way to get your phone fixed fast and affordably. 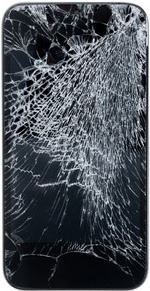 You can find a repair shops to get your Smartphone or iPhone fixed in Alabama, Alaska, Arizona, Arkansas, California, Colorado, Connecticut, Delaware, Florida, Georgia, Hawaii, Idaho, Illinois, Indiana, Iowa, Kansas, Kentucky, Louisiana, Maine, Maryland, Massachusetts, Michigan, Minnesota, Mississippi, Missouri, Montana, Nebraska, Nevada, New Hampshire, New Jersey, New Mexico, New York, North Carolina, North Dakota, Ohio, Oklahoma, Oregon, Pennsylvania, Rhode Island, South Carolina, South Dakota, Tennessee, Utah, Vermont, Virginia, Washington, Washington D.C., West Virginia, Wisconsin, Wyoming or locally in Abilene, Amarillo, Angleton, Austin, Beaumont, Belton, Brownsville, Bryan, Conroe, Corpus Christi, Dallas, Denton, Edinburg, El Paso, Fort Worth, Galveston, Georgetown, Houston, Laredo, Longview, Lubbock, McKinney, Midland, New Braunfels, Odessa, Richmond, San Angelo, San Antonio, San Marcos, Tyler, Victoria, Waco, Wichita Falls.